Interested in selling postcards? We have some tables available for our May 20th show. Who can be a dealer? Anybody with postcards for sale. Cost: Tables are $50 for an 8' table. Two tables are $100. Dues: In order to get a table, you must have a paid up membership to the club. Dues are $10 per year. Dues payment can be included with the table fee. State Tax: All sellers must provide either their social security number or a tax identification number. You cannot set up a table unless you do this. Please contact the Massachusetts Department of Revenue if you have questions. What if you only have a couple shoeboxes or a couple albums of postcards and want to have dealers look at them? You can bring postcards into the hall and show them to dealers. Unless you pay a table fee, you are not allowed to sell to the general public. For more information, please contact Arthur Bennett (arthurbennett [at] comcast.net). 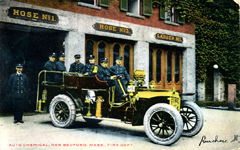 Copyright © 2018 Bay State Postcard Collectors Club.